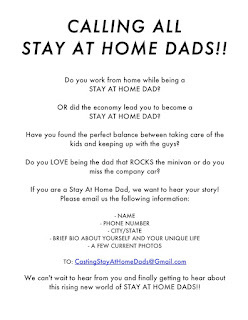 Lifetime is gearing up for a reality TV show based on stay at home dads. The show is going to be based out of L.A. The person casting the show is directly in contact with me. 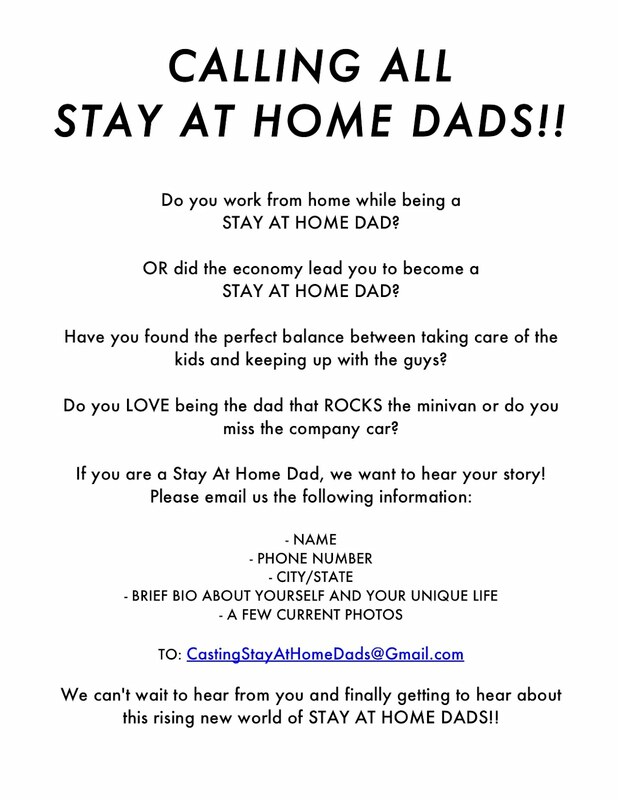 If you are interested, leave a comment.